The remains of a small kangaroo or wallaby, found in the middle of a back-road, just down from the cows. Details: Nikon 50mm 1:1.8D, f/2.8, 1/80s, ISO 200. EEEGGG GADS! I thought this was a black bear at first. Do people put kangaroo or wallaby heads up on their sheds down under? 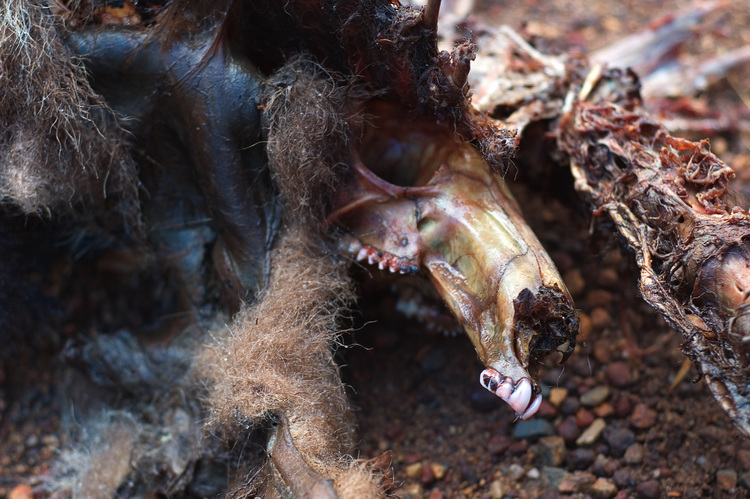 They do weird stuff with skulls and horns around Alaska.